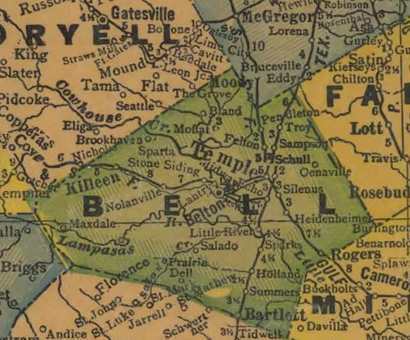 Settlement began on Lampasas River, 1847. 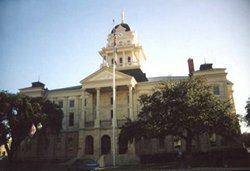 Created Jan. 22, organized Aug. 1, 1850. 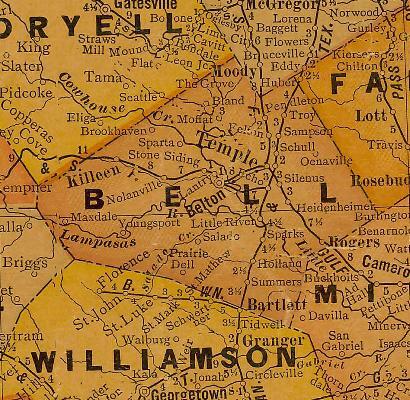 Named for Peter Hansbrough Bell (1812-1898), native of Virginia; veteran of Battle of San Jacinto; served in Somervell expedition to stop Mexico's Raids into Texas; officer in Mexican War; Governor of Texas 1849-1853; U.S. Congressman, 1853-1857. 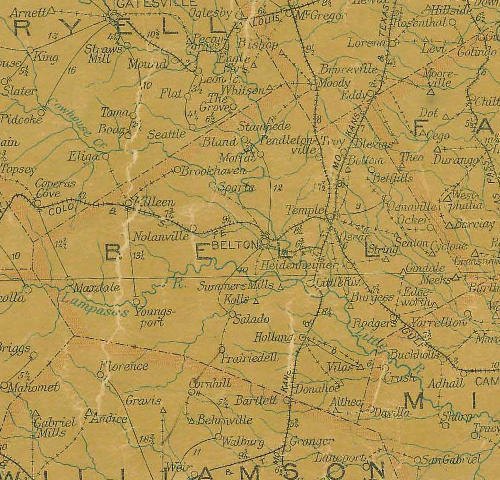 Moved Dec. 16, 1851, to Belton. By 1860 population was 4,799. Sent 12 troop companies into Civil War. Furnished goods from flour mills, hat factory, tanyard, leather works, blacksmith shops, cabinet shop, beef slaughter pens.